Currently 273 sprites in total. Includes weapons, tools, gems, food, accessories, resources and other various items. 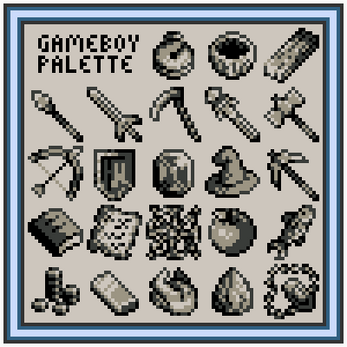 All sprites fit a 16x16 grid and use an easily adaptable 32 colour palette which is included. 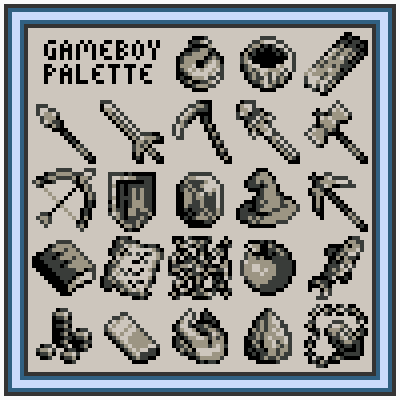 An alternate Gameboy palette is available for 113 sprites. 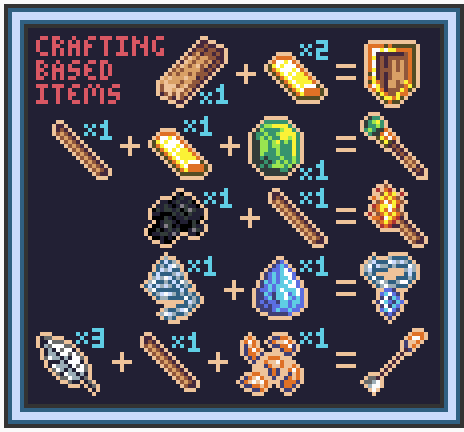 Sprites are provided both on one large sheet, and as individual files. 2x (32x32) and 4x (64x64) size enlarged sprite sheets are also included. Feedback and questions are welcome. If you would like specific sprites or small alterations to these for your game, please leave a message. Assets and derivatives can be used in commercial or personal products, but cannot be otherwise redistributed (i.e. resold or shared).